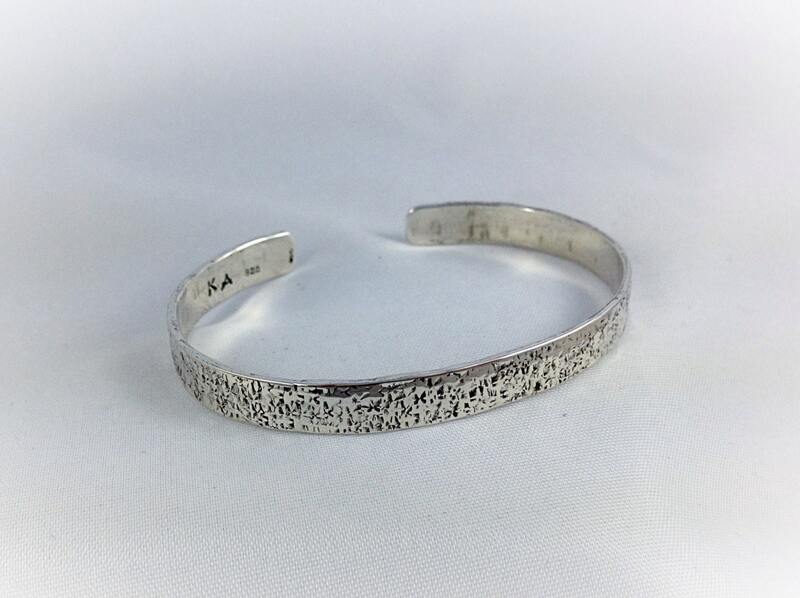 Simple and attractive rustic hand wrought solid sterling silver cuff bracelet. Hammer wrought "Textile" texture gives the elegant look of woven fabric or raw silk. Rich hammered texture unique to each one. 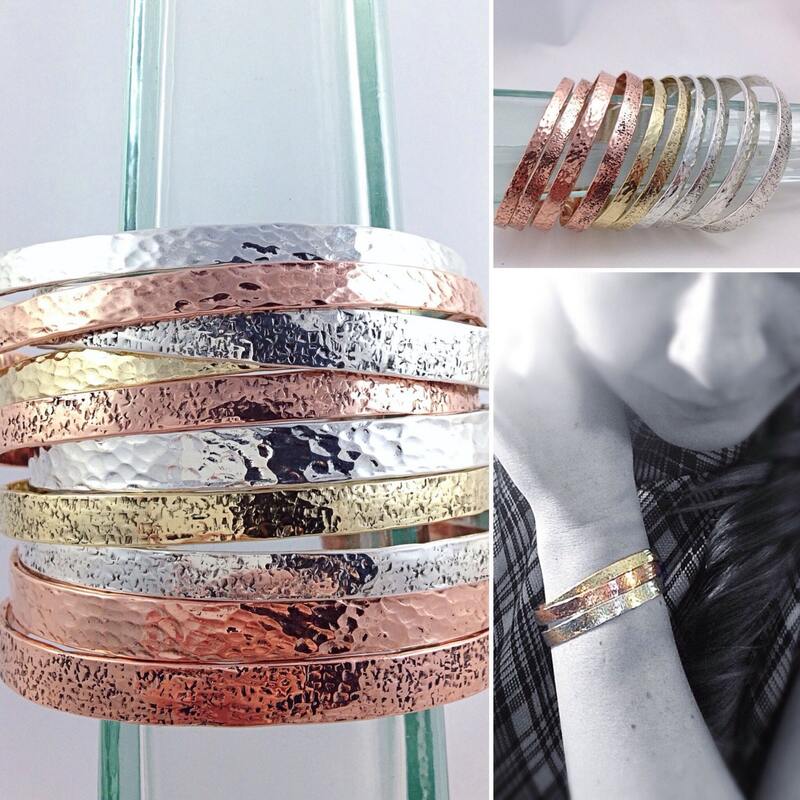 Looks fantastic by itself or layered with other bracelets (shown in last two photos). 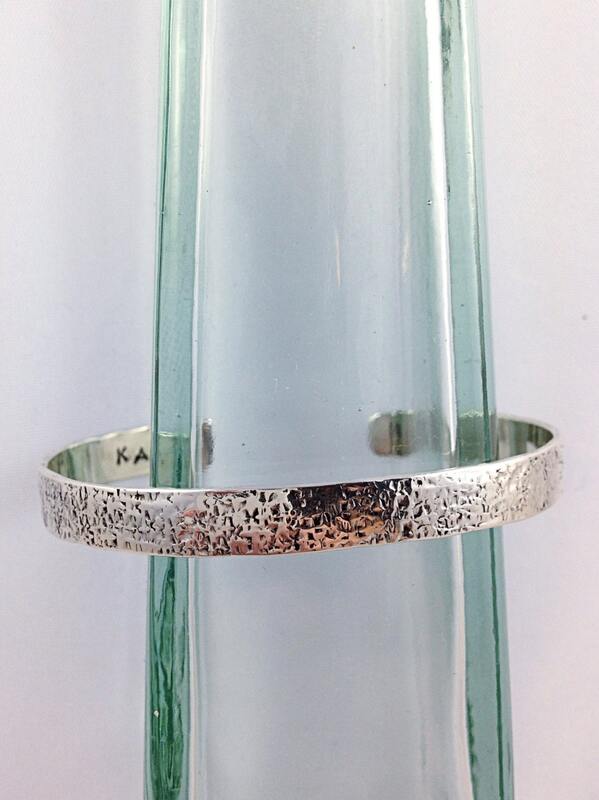 This design is a heavy gauge sterling silver that looks great on men or women. 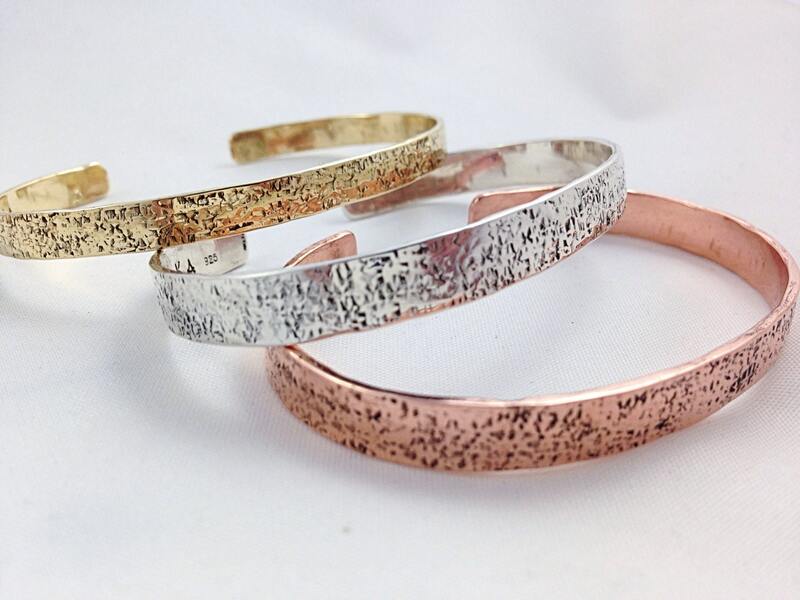 This is a really beautiful bracelet & it looks so different from other hammered silver that I have. This doesn't have the regular "dimple" look - it's much more elegant. 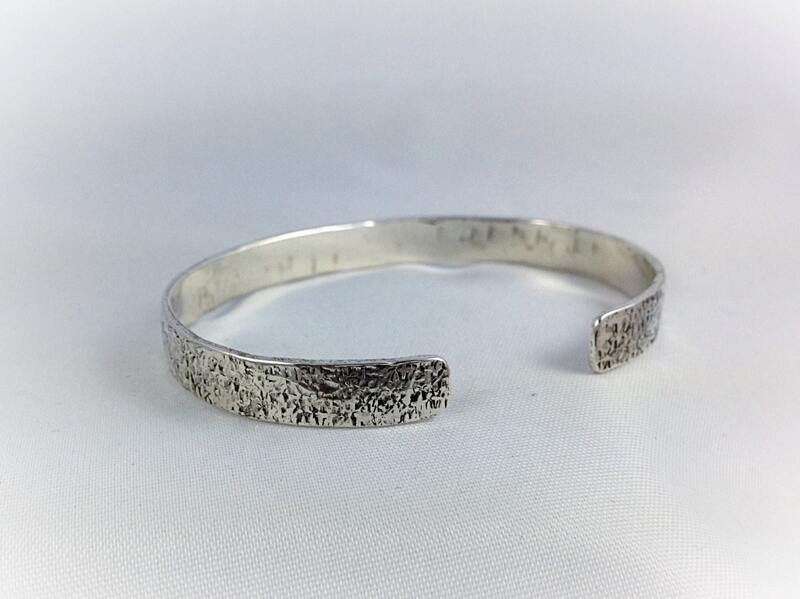 I wore it yesterday stacked with one of my favorite "quotation" cuffs and it was very comfortable. For anyone in the fence, I highly recommend this bracelet. Also, Klee, the necklace you shorten for me is perfect. It lays very nicely on my collar bones and looks great. Wore it yesterday, too.